Mave nodded when Deya asked him about the brainstorming of the plan. "Yes, I did... wasn't too hard. I appreciate the support though," he replied as he sat down. He also flickered his ears and kept his gaze on Verine when Deya spoke to him again. "I accept nearly everyone, really. I don't ever see a reason why I would chase someone out of the territory, well of course if they were a murderer then I would. But... thanks for the thank you. I appreciate it. And... you don't have to keep watch with me. I would like you to get some rest before the big night but of course I can't really get you to sleep, now can I?" he chuckled. He looked down at his paws and kept on alert. Jake rolled his eyes as he listened to his masters argue. "We should set up camp soon, it's getting dark." "Will you shut up Dave? We need more food! Jake is a growing dog he needs his fill!" Jake smirked at the mention of his name. He wanted more food. "Oh who cares about that stupid mutt? He doesn't even know his own name!" The dog let out a low, quiet growl. "Will! You know he does!" Charlie turned to Jake. "Here Jakey! Hey boy! Here!" With a slight grunt, Jake got up and walked over to Charlie. "Now who's a good boy?" Charlie said, shooting a glance at Dave and Will. "I'm still gonna set up the tent," Dave mumbled. "I'll get the damn fire going..." Will said. Charlie turned back to Jake and bent over. "Looks like your on your own for dinner tonight. You watch over our tent and keep the stupid wolves away, alright, boy? That'll be a good dog." He turned away and helped the other two set up for the night. Jake snorted and laid down. He was too tired to really do anything at the moment so he laid down and closed his eyes. She smiled and nodded. ”I don’t think I’d be able to sleep. Finally a family in so long.” her softer side crept out from a deep and undisturbed grave. Instantly notching her slip she shook her head and pawed at her ears. ”Sorry, I’ll go get some rest. Good night, Alpha.” Deyanira turned and stared upward at the sky, beginning to dot itself with gold and green stars. Deyanira ran over the words maverick had shared with her. ’He wouldn’t accept a murderer. You must hide. You will never be accepted, never.’ The words rang over through her mind and did not allow her to rest until she forced them into the grave that hid her past self and closed her eyes with thoughts of her new self in her new family. Mave nodded when Deya announced that she would get some sleep. He tilted his head, knowing that something was bothering her. He shook his head; he would ask her about it later. In the meantime he had to watch over the other five wolves just in case. The alpha put his nose in the air and sniffed. He looked in the direction of the den with shock. "Looks like there's the annual flow of newcomers again... poor Jeames," he whispered quietly, followed by a slight chuckle. From the scents there seemed to be a lot in the den area; and he couldn't smell blood so that was proof the new wolves weren't hostile. Mave thought it was kinda funny that Jeames had to go through all that, at this point in time. He smiled to himself as he looked back down at his paws. Verine turned to look at Mave as he spoke once more, smiling softly at him. She turned away as Deya sat next to him, jaw clenching as she listened to the lilt of the faes voice. Is she staring at me or something? She turned away quickly again, glancing at Cassiel and pricking her ears as she heard the soft tune of voices from the Humans. She quickly dismissed them though, laying her head down once more, tail flicking impatiently. Huffing, she stood and walked off a ways, jittery. While she would have done close to anything to get a good run, she knew she needed to stay close by. Sighing softly, she walked back over between Cassiel and Maverick, curling up into a ball and placing her tail over her nose. She ran her tongue over her teeth as she waited for the action to begin. Kiran's ears perked as she listened to Maverick's plan. It seemed to have changed since the last time they talked about it, but oh well. She flattened her ears as he spoke about Deya killing the dog; the silvery female seemed a little too eager to do so. She turned her head away, listening to Kyo talk. She blushed furiously at this, surprised, before nuzzling him lightly and smiling. She lay her head down and closed her eyes, quickly falling asleep. She hadn't had the chance to do so in a while, and the past events of the day were catching up to her. She sighed and curled up next to Kyo, her tail flicking over her nose. A smile crept upon his resting face as he blinked his eyes open to see Kiran dozing beside him. Snuggling closer to the female, he whispered softly without thinking. ”Goodnight beautiful.” he swallowed his tongue moments after and knew he would not rest again. He laid with his eyes open, pointed at the stars. Kyo still had traces of the bitter taste of herbs in his maw and wondered how Shadow and Jeamesero were feeling. Observing the constellations he allowed his memory to wander into his past. To everything his mother had taught him, steering away from bad memories and only following the path of the positive ones. Cassiel watched as Verine paced worriedly around their little hiding area -- and giving Deyanira a couple of nasty looks while she was at it -- before settling down between him and Maverick. She seemed a bit more uneasy since they last talked. Other wolves were starting to fall asleep, but he wasn't tired at all, really, thanks to his nap he had several hours previous. The hunter wasn't sure if Verine had fallen asleep or not, so he asked in a hushed tone so as not to wake her if she was, "Hey, are you feeling alright? You look a little nervous." "Hey, are you feeling alright? You look a little nervous." Verine lifted her tail from her face, uncurling slightly to meet Cassiels eyes. She smiled gently, nodding her head softly. "Yeah, Im fine. Im just a bit anxious is all." Even after she had finished talking, she couldn't seem to take her eyes off of the lead hunter, running her eyes briefly over her facial features and build before staring him in eye. She nodded as she turned to look at the meadow, sighing quietly. Jake's camp was set up. There was a toasty fire going, and his three masters were sound asleep, each in their own small tent. They had pretty much forgotten about Jake since their argument, which means that Jake wasn't fed at all. With a slight groan, he got up, stretched, and went out to go look for a rabbit or two to call his dinner. Mave looked to the sky. Surely, it was dark out, and millions of stars looked down upon the land from space. He needed to know the current status of the poachers and dog. He looked around the pack's small hiding place. He had noticed that Cass didn't ever really fallen asleep, so he decided to send the male on yet another special mission. He stood up and approached him. "Cass, I need you to do something... something very important," he whispered to the lead hunter. "I need you to go stalk the camp of the hunters and observe the status over there. What I need to know is whether or not the humans are asleep and most importantly, where the dog is. I would go myself, but I need to watch these sleepy heads, and it would be too noisy if I were to take everyone over there. Think you could do that for me?" The dark-pigmented male nodded in response towards Verine, holding her gaze for a moment or so before she turned away and settled in for the night. His ears flicked at the sound of Maverick's voice directed towards him, and so he turned to the alpha, listening to what he had to say. Once he was finished, Cassiel nodded. "Of course. Shouldn't be too hard; I'll be back momentarily," he responded, slowly rising to his paws and picking out the orange-yellow light of the poachers' campfire. He kept low, the tall grass brushing against his belly, his dark coat blending perfectly with the shadows of the night. He went slowly, checking the path in front of him every once in a while to make sure he didn't step on anything that might cause a ruckus. He paused once he got close enough to the camp area to listen in, although not close enough to let the light touch him. His ears were erect, listening for any signs of movement. The only thing he heard was the faint sound of a human snoring, as well as the faint cracks and pops of the fire, but other than that, nothing to indicate they were awake. He should've felt relieved by this, but no. He was far from relieved once he noticed the dog was missing from the campsite. He lifted up his nose slightly, taking in big whiffs to try and pick out the dog's scent. All he got was a stale one, and the pungent smell of human. Crap, he thought, a sinking feeling in his stomach. The dog was out and about, roaming around. Cassiel was pretty sure he wasn't near their hiding area, though. He didn't smell anything from where they were, but it still made him paranoid. The hunter began to retreat back to Mave and the others, making sure to move quick yet keep light on his paws so as to not draw attention. At the slight rustle of leaves, orange pelted ears flicked up and dark blue eyes opened. With a monstrous yawn, the healer stretched his muscled, moving as little as possible. Trying not to disturb Kiran, he shuffled a few inches away from her before standing. Stretching again, the male walked over to Maverick and relaxed his shoulders. With a respectful nod, he kept his voice at a whisper as he scented Cassiel nearing: ”Did he go to observe the camp?” he looked through the bushed and waited for Cassiel to show up. His eyes kept drifting over to Kiran, watching her, making sure she was breathing. He thought of how neatly her body fit with his for a moment and revelled in the idea of sleeping next to her again. Knowing that he wouldn’t be able to sleep again and he would only fidget all night. Mave nodded an watched as Cass darted off towards the camp. He sighed. The male noticed Kyo get up and question him about Cassiel. "Yeah, just to be sure that the humans are asleep," he whispered. Her paws thudded as he ran to the campsite of her pack. She knew her plan. It was time to execute it. In a flash of blood and screaming, heavy breaths ceased and all respiration stopped except for one. Silvery blue eyes watched upon all of the camp, riddled in death. They were not fast enough.a quiet, meticulous chuckle travelled through the dead air and grew into a booming laugh of psychotic satisfaction. Deya snapped awake, breathing heavy and fast. She flung her eyes open and didn’t bother to stretch or shake the dirt from her fur before rushing that Maverick. ”I don’t think I can kill the dog.” she blurted, keeping her voice hushed. ”I mean, there are other wolves that can do it, right? I don’t think Ik can. I think I have to go. I think I should go back to the den.” Her voice didn’t rest until she had finished. The hunter slowed to a jog once he neared the camp, and brushed past Deyanira in order to report to Maverick. "Right, so, Maverick... There's a problem," he said, his voice steady yet his heart racing. "While the humans were sound asleep, the dog wasn't in the campsite. I would have tried picking up its scent, but I didn't want to risk it finding me. Apologies," he said, and continued, "but I feel like we should revise the plan a bit, considering this unexpected occurrence may prove to be quite the hindrance." Verine blinked her eyes open as Cassiel left, watching his dark form retreat to the humans. Inhaling deeply, she curled up tightly and exhaled in a huff of breath. 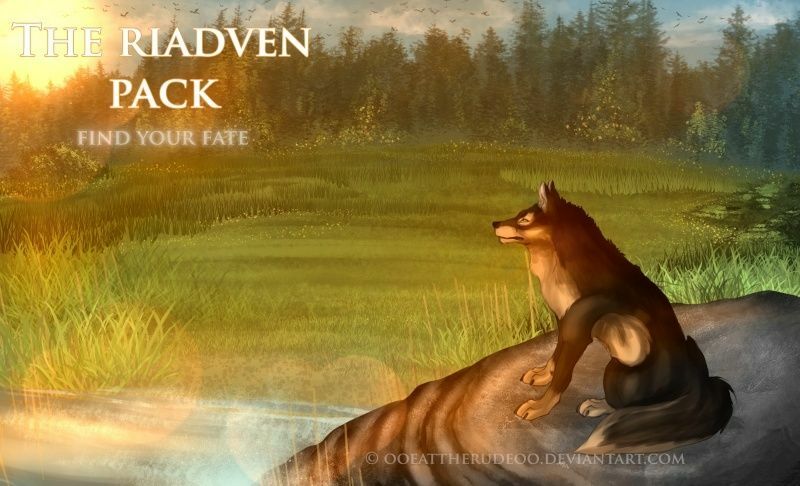 Pushing herself up to her paws, Verine strolled towards Maverick and Deyanira, sitting to face the alpha. Her maw parted, voice leaking out just as Cassiel appeared. She snapped her mouth shut and listened to the lead hunter explain the situation. Verine twitched her tail back and forth, running her tongue over her teeth as she mussed up the courage to speak. "I could take Deyaniras place, I guess... Unless you had something else planned for me of course." She smiled sheepishly at Maverick, shrugging slightly. Mave turned to Deya when she begged to return to the den. "Why...? I thought you wanted to help," he said to her. He looked forward and perked his ears when Cassiel came into his view and explained the situation. "No! This is perfect... we need the dog to be as far away as possible from the humans," he replied, followed with a smirk. The alpha looked at Verine when she offered to take Deya's place in the possible slaughter of the dog. He sighed, "Verine, if you're willing to do it, then you may. But only if I tell you to." He looked at Deya. "You may go back to the den now if you please. I hope you know your way back." Shaken from her dream, the silver fae nodded, her fur shimmering under the light of the moon. ”Thank you. I’m sorry. You may bring any punishment you wish. I do not slack in my duties, but I’m afraid I cannot bring myself to kill tonight.” The female turned to the forest and ran without inhaling. After a few moments, she heard the crackling of a fire. Kiran woke up, blinking the sleep away as she sensed the activity in the group. She got to her paws, stretching before walking over to where Kyo, Maverick, Verine and Cassiel were gathered. She nodded to everyone, but didn't see Deya anywhere; she could smell the she-wolf's scent leading back to the clearing though. She tilted her head, ears perking curiously. "Why did Deya leave?" she asked, tilting her head. Mave watched as Deya sprinted off towards the main den. He shook his head and sighed. What had gotten into her all of the sudden? He didn't know. He noticed Kiran wake up and question him about Deya's absence. "I don't know. Suddenly she was begging me to leave," he whispered. He grew a smile when he heard Kiran’s voice. Kyo waited for Maverick to finish before he greeted the fae, ”Good morning, did you rest well?” There was nothing amorous about the question, but his eyes glistened with emotion that he did not understand. He turned his head down to hide his eyes and wondered what would happen when the interrogation began without somebody to kill the dog if needed. Verine had offered kindly, so the thoughts escaped his head when the problem was resolved. His eyes continued to wander about his paws while he waited for Kiran’s answer. Mave looked around at the others. He rose to his paws and sniffed the air and caught the dog's scent. He looked back at the other wolves. "Time to get this done and over with. Follow me.."
He smirked and trotted in the direction of the lonely mutt. Excitement tingled in the depths of his stomach at the idea of this quest. Ridiculous thoughts traveled through his mind at an alarming pace. ’What if Verine has to kill the dog? What if the dog kills ones of us? What if Verine gets hurt and Kiran has to kill the dog? Would she be okay with that? I’d do it for her.’ The brute looked at the pale fae before his thoughts pushed through again. ’What if the dog likes us? What if he thinks we’re superior? What if he leaves his owners to join us? What if Maverick asks him to join us? What if Maverick convinces the dog to help us kill his humans? Shut up, Kyo. You’re going crazy.' His thoughts came to an abrupt halt and he turned to the Alpha. ”Ready when you are, sir.” he spoke steadily, but in a hushed tone. Then he turned to Kiran. ”Are you nervous?” his voice was curious, not taunting. The hunter noticed Mave's sudden pique of attention, and a smirk slowly growing on the alpha's face. Cassiel flicked his ears at Maverick's order, and rose to his paws, giving his coat a light shake. He, for some reason, wasn't so nervous anymore. After all, it was just a scrawny ol' mutt they were dealing with. The real threat -- the humans -- wasn't going to be around, and he had full confidence that Verine would be able to take the canine down if needed. He glanced at her. While you'd have a hard time telling so at a first glance, he knew that he shouldn't worry. From what he gathered, she was strong, both mentally and physically. She'd have no problem taking down a dog. A smile tugged at his lips. He felt an odd sense of... pride, was it? No, not pride. He supposed he'd just placed an unreasonable amount of faith in her abilities, but hey, he believed in her and that's that. He looked away and focused his attention towards where Maverick was headed, and quickly followed suit, sticking low to the ground. Kiran smiled at everyone, wagging her tail a bit. She looked at Kyo as he spoke. ”Good morning, did you rest well?” he asked. She nodded. "Yes, i haven't slept well in a while." she woofed, smiling. Her gaze swept over Mave when he opened his maw. "Time to get this done and over with. Follow me.." It was starting. She took a deep breath; she was certainly nervous. She hoped everything would go well, and everyone would get out all right. She didn't like the dog at all but...she didn't want it to die. If it came to it she didn't want to watch either. She shuddered as she thought about it, following her Alpha through the tall grass. She lowered herself into a crouch as she did so, keeping low to the ground and trying not to disturb the grass too much. She perked her ears, hearing Kyo again. ”Are you nervous?” She nodded. "Yeah. I just want everything to go well." she said quietly, following Mave. She didn't say anything else as they continued, keeping low to the ground. Mave followed the scent of the mutt. He kept looking back behind him to make sure that the others were following. Kiran, Cass, and Kyo... but where's Verine? She'll catch up, we need to get to the dog before it decides to go back to its humans.. The alpha looked forward again and continued stalking in the shadows. A few minutes later, the dog came into view. It was eating from a squirrel carcass. Maverick looked behind him at the others. "Ok, so, when I say so, quickly ambush and surround the dog so it has no where to escape. I'll stand in front of it," he whispered. Jake had finally caught himself that stupid squirrel; he had always dreamed of catching one, and finally that he was a fully-trained hunting dog he had. He tore from its flesh hungrily and swallowed every chunk of its meat proudly.